Please see our Team Pages for direct links to publications by our Principals, Associates and Staff. An assortment of agenda-setting publications from our staff that are helping shape and improve the practice of restoration. O'Brien G, Wheaton JM and Bouwes N. 2015. 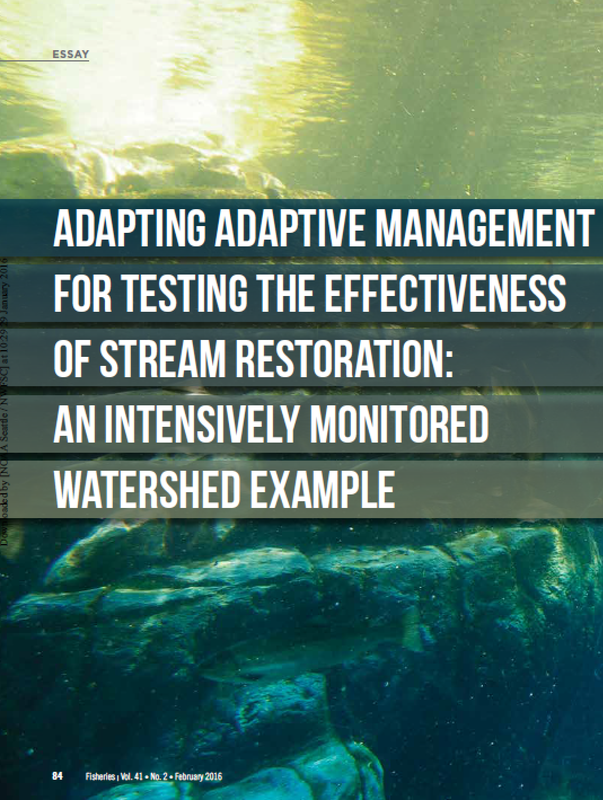 Synthesis & Recommendations from Middle Fork John Day River Styles - Leveraging the River Styles Framework in Tributary Habitat Management for the Columbia River Basin. Fluvial Habitats Center, Utah State University, Prepared for Eco Logical Research and Bonneville Power Administration, Logan, UT, 20 pp. DOI: 10.13140/2.1.3937.3129. Wheaton JM and Macfarlane WW. 2014. The Utah Beaver Restoration Assessment Tool: A Decision Support & Planning Tool – Manager Brief, Ecogeomorphology and Topographic Analysis Lab, Utah State University, Prepared for Utah Division of Wildlife Resources, Logan, UT, 16 pp. Macfarlane WW, Wheaton JM, and Jensen ML. 2014. 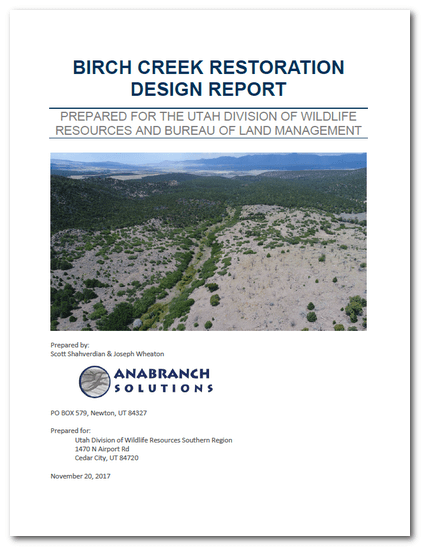 The Beaver Restoration Assessment Tool: A Decision Support & Planning Tool for Utah. 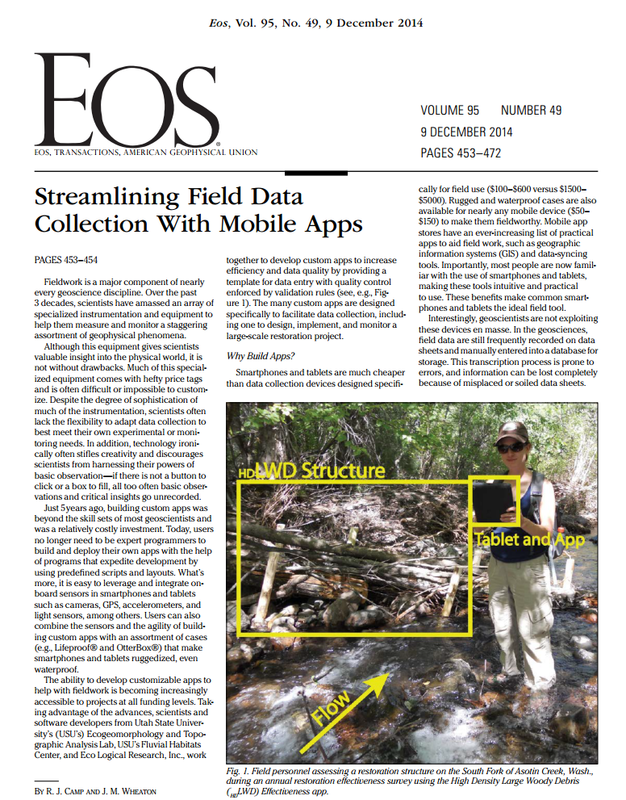 Ecogeomorphology and Topographic Analysis Lab, Utah State University, Prepared for Utah Division of Wildlife Resources, Logan, Utah, 142 pp. CHaMP (Columbia Habitat Monitoring Program)♠. 2012. 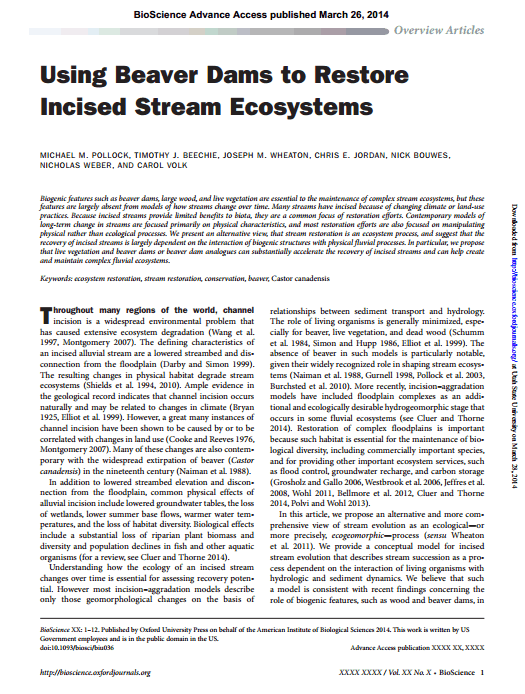 Scientific protocol for salmonid habitat surveys within the Columbia Habitat Monitoring Program, Prepared by the Integrated Status and Effectiveness Monitoring Program and published by Terraqua, Inc., Wauconda, WA, 188 pp. Ward MB, Nelle P and Walker SM (Eds)♠. 2011. CHaMP: 2011 Pilot Year Lessons Learned Project Synthesis Report. Bonneville Power Administration: Portland, OR, 95 pp. Wheaton JM, Bennett S, Bouwes N, and Camp R. 2012. 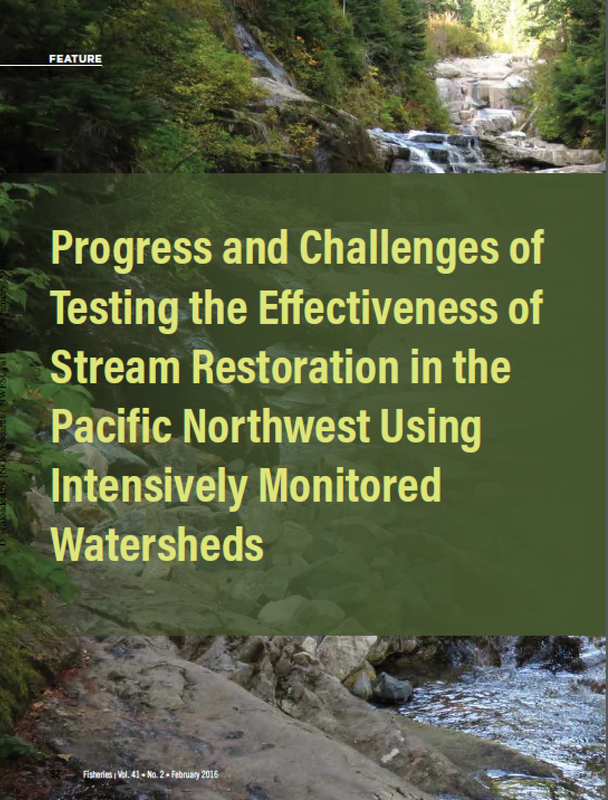 Asotin Creek Intensively Monitored Watershed: Restoration Plan for North Fork Asotin, South Fork Asotin and Charlie Creeks, Eco Logical Research, Inc., Prepared for Snake River Salmon Recovery Board. Logan, UT, 125 pp. Pollock M, Wheaton JM, Bouwes N and Jordan CE. 2011. 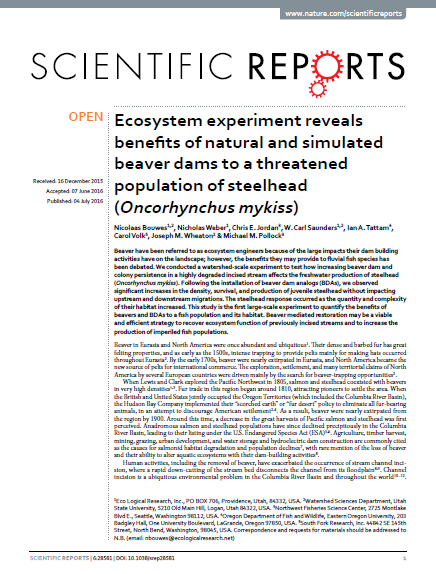 Working with Beaver to Restore Salmon Habitat in the Bridge Creek Intensively Monitored Watershed: Design Rationale and Hypotheses, Interim Report, NOAA Northwest Fisheries Science Center, Seattle, WA, 63 pp.